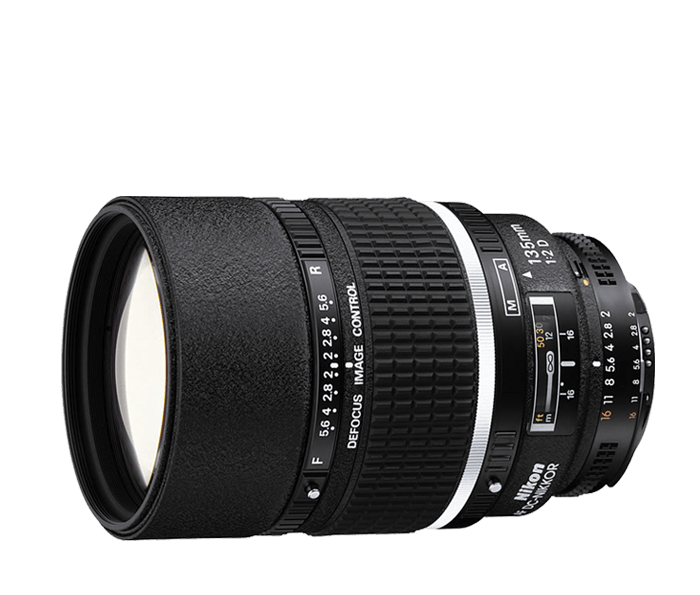 Medium telephoto portrait lens with Nikon Defocus Image Control. The medium telephoto version of Nikon’s innovative Defocus Image Control lenses, the AF DC-NIKKOR 135mm f/2D delivers remarkably sharp images, a fast f/2 maximum aperture for low-light performance and shallow depth of field plus the ability to selectively soften elements in the background or foreground. Discover new compositional possibilities with this versatile, high-performance prime lens. Using the same unique Defocus Image Control (DC) feature employed in the AF DC-NIKKOR 105mm f/2D, the AF DC-NIKKOR 135mm f/2D offers more telephoto reach. Selectively blur elements in either the foreground or background for more creative control—make your subject stand out from the background, softly defocus foreground elements and more. With a medium-telephoto 135mm angle-of-view and a fast f/2 maximum aperture, the AF DC-NIKKOR 135mm f/2D is an ideal portrait lens. Its fast maximum aperture delivers beautiful natural background blur (bokeh) and enables dramatic low-light shooting. And since it’s a NIKKOR, you can expect consistently stunning images in nearly any setting.